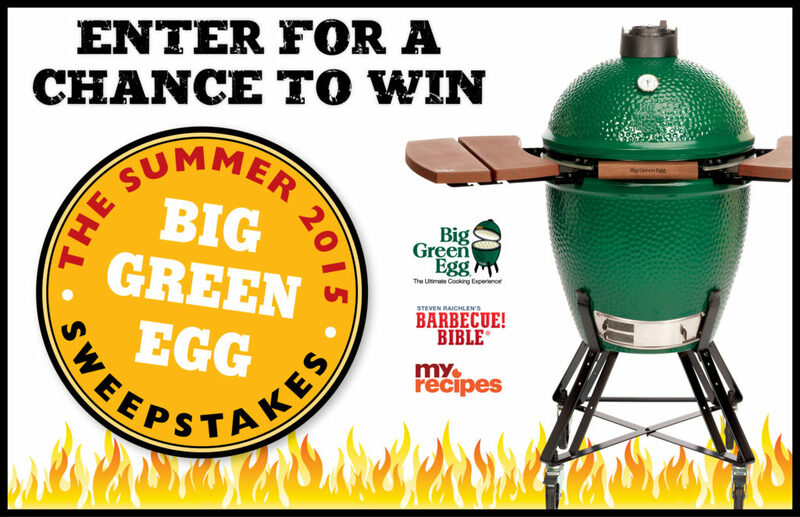 This summer, we’re giving away a big prize to one lucky winner—a Big Green Egg, one of the most versatile and popular grill/smokers out there. Besides the Large Big Green Egg grill, accompanied by a Nest (stand) and Mates (folding side shelves), the package comes with a 10-pound bag of charcoal, fire starter cubes, a grill gripper, and an ash tool. Enter below for a chance to win big! NO PURCHASE NECESSARY. Open to legal residents of the continental 48 states of the USA who are 18 or older at the date of entry. Sweepstakes begins at 12:00 a.m. Eastern Time (ET) on 7/1/2015 and ends at 11:59:59 p.m. ET on 8/31/2015. Click here for official rules. Void in Alaska, Hawaii, and where prohibited or restricted by law. And check out more grilling recipes on MyRecipes.com.